Some things are meant to be treasured. 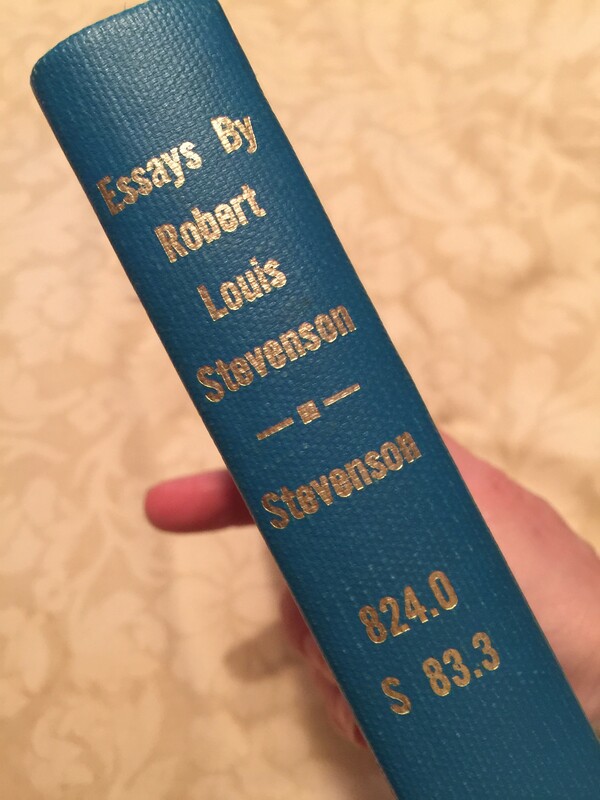 Essays by Robert Lewis Stevenson is one of them. I reserved the collection at my local library, unaware and unprepared for the perfect little package that awaited me. Measuring 4 ½ by 6 ½ inches the book is a pocket-sized gem. Captivating my senses, I explored the pages and their contours. And what I found was simply beautiful. The backmost page contained the original card catalog sleeve and card dated 1968. The check-out card included the book title, author and Dewey Decimal number handwritten in exquisite cursive—artful and measured like my grandmother’s hand. Astonishingly and sadly, over 50 years the pages rarely saw a turn, checked out but once in May of 1973. Essays both enchanted and saddened me. How could no one have reserved this? When did we forego book quality and craftsmanship? 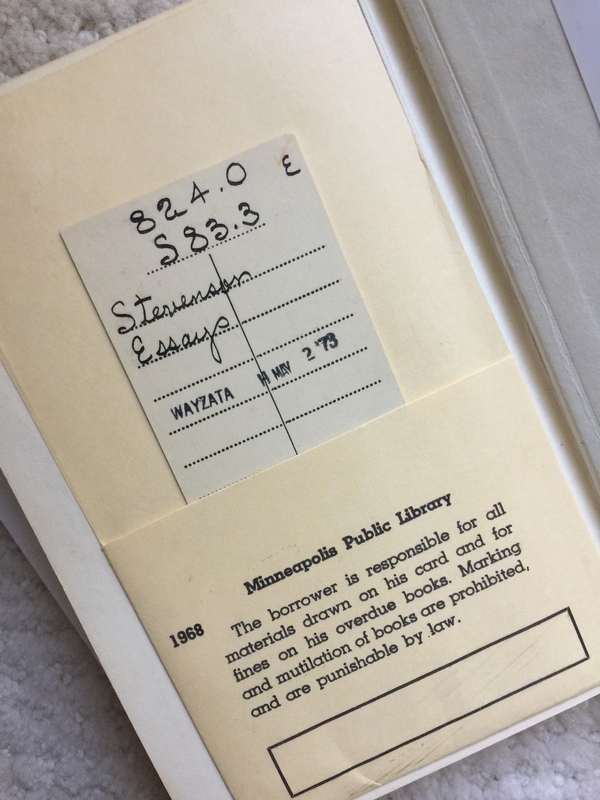 Remember the secret drawers of the magical, wooded card catalogs at the Hennepin County Library as a child? In anything fit to be called by the name of reading, the process itself should be absorbing and voluptuous; we should gloat over a book, be rapt clean out of ourselves, and rise from the perusal, our mind filled with the busiest, kaleidoscopic dance of images, incapable of sleep or of continuous thought. The words, if the book be eloquent, should run thenceforward in our ears like the noise of breakers, and the story, if it be a story, respect itself in a thousand colored pictures to the eye. It was for this last picture that we read so closely, and loved our books so dearly, in the bright, troubled period of childhood.